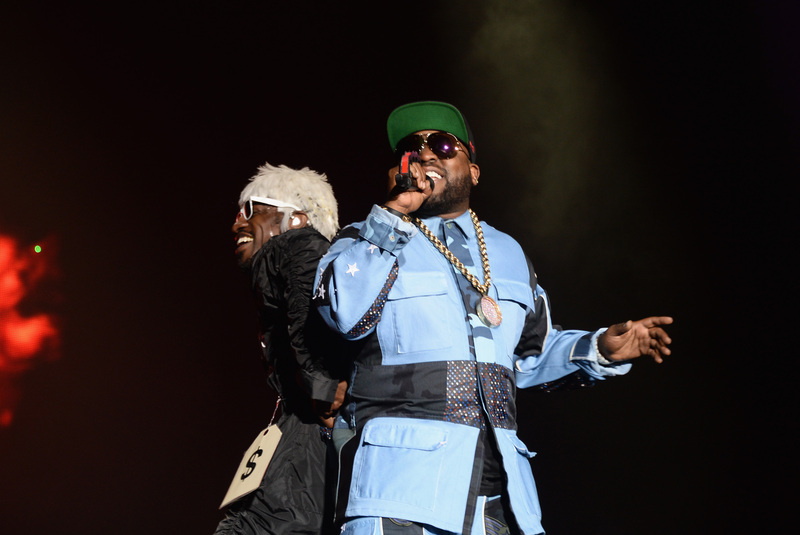 Still mourning OutKast's decision to part ways back in 2007? Hey, who can blame you — these are the guys behind "Ms. Jackson"! Seven years isn't nearly enough time to mourn the break-up of this duo. But hey, good news: You don't have to mourn any longer. Not only is OutKast back together to perform Coachella, the Governors Ball, Firefly fest, and a ton of other festivals, but it seems like we might actually see some new material from them as well. In a new interview with Howard Stern on his SiriusXM show, Queen Latifah revealed that OutKast is going to a new album in addition to their reunion shows. The subject came up when Stern asked Queen Latifah about OutKast: "Whatever happened to them?" Latifah, who actually managed OutKast in their early years, responded, "They're chilling...They're doing movies, and they're about to work on a new album." Perhaps realizing she may have revealed too much, she quickly added afterwards, "I don't manage them anymore." While the prospect of Big Boi and Andre 3000 working on new material is an exciting one, it may be best not to get your hopes up too high just yet: This is the first time we've heard of a new album in years, and even in a recent Revolt TV article, it was specified that the reunion would not include new material: "...the reunion is currently set to exist solely in the live setting, with no new album plans in sight, for now." Then again...Queen Latifah probably knows what she's talking about. Maybe get a little excited.